2015’s Mountains May Depart was a fine work by the standards of any filmmaker, but while the decades-spanning melodrama marked another step forward in narrative and technical ambition for Jia Zhangke, it also felt like the director’s first narrative feature to constrain rather than expand his haunting and melancholic vision of recent Chinese history. Where Jia’s work was once evocatively unresolved, Mountains compacted its ideas into simplistic, oppressively on-the-nose symbolism that allowed for accessible viewing while leaving little to the imagination. In that sense, Ash Is Purest White feels like a fulfilment of the promise shown in Mountains May Depart’s scale, craftsmanship, and approachability, continuing in the sprawling vein of Jia’s recent work, while proving just as resonant as his realist output. Where his last feature seemed borne of compromise, Jia’s latest is the product of evolution. Of course, fish didn’t grow legs in a day, and so this journey of loss and longing contains plenty of the elements we’ve long come to expect from Jia, not least another spellbinding turn from his wife Zhao Tao. In a reprisal of her role from 2002’s Unknown Pleasures, Zhao plays Qiao Qiao, a dancer who falls for a mob boss named Bin Bin (Liao Fan) in the year of 2001. Though each of the pair can be hard-edged and strong-willed, there’s an idealism by which Qiao and Bin oversea their gang’s activity that’s reflected in the inclusion of Sally Yeh’s theme song from 1989’s The Killer. 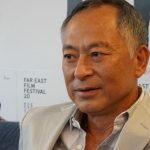 Much like John Woo’s triad bromance, Bin champions notions of honor and fraternity, though he seems far more hesitant to resort to violence than the criminals of genre cinema. When a dispute breaks out between two of his peers, Bin swiftly deescalates the situation by invoking the image of deified Chinese general Lord Guan, and when a younger rival gang starts causing trouble, his response is surprisingly lenient. At the same time, when the other gang surrounds Bin and Qiao in a brutal ambush, Bin shows that he can more than hold his own in a fight. 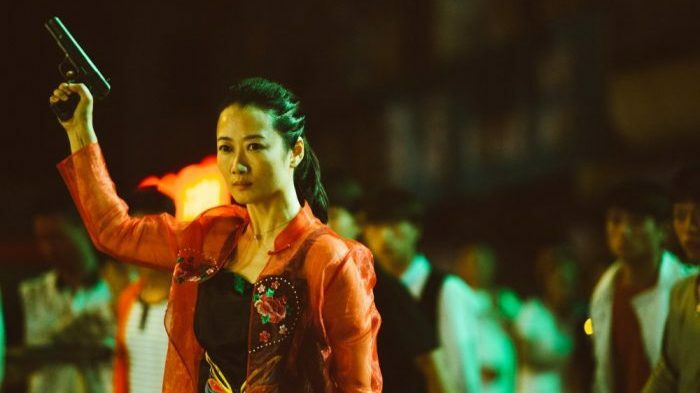 If the film’s first third plays to some extent like a tribute to classic Hong Kong crime films and the values they espoused, then this intense street brawl is where the homage reaches its culmination point as Jia goes all out to deliver what just might be one of the most bracing action scenes in recent years. But like the momentary immersions into genre cinema that A Touch of Sin brought us, this escapist spectacle can’t possibly last, so when Qiao comes to her boyfriend’s rescue with gun in hand, her bold act of heroism lands her five years in prison. Once Qiao has come to the end of her sentence, she re-emerges in a new world that has moved on without her, and Bin himself has followed suit, leaving his devoted partner in the past along with his old sense of gangster loyalty. Though Qiao’s attempts to track down Bin show her to be a person of drive, resourcefulness, and intelligence, her journey feels nonetheless like a long and lonely fade into nothing. Though Ash Is Purest White’s heroine originated from Unknown Pleasures, the film’s second third suggests a revision of the arc of Zhao Tao’s character in Still Life. But while Jia’s 2006 masterwork played out against the backdrop of the Three Gorges Dam project as it encroached ever further onto the surrounding communities, Ash revisits the same setting to tell a similar story and finds that the project is already complete. Just as Qiao struggles to come to grips with a rapidly changing reality, it seems that Jia’s own films are constantly playing catch-up with the nation they reflect. But whether Jia’s referencing his own body of work, classic Hong Kong crime cinema, or – in the case of one musical motif from the film’s early passages – “YMCA” by the Village People, there’s always a purpose to the film’s quotations. Perhaps more than any other work in Jia’s postmodern output, Ash Is Purest White feels expansive in its connections to the cultural context of a certain era, grounding Qiao’s sense of identity in a fleeting moment that leaves her feeling rootless when it vanishes into the past. And while the film’s final third sees the heroine finally reunite with Bin, she finds that she can’t recreate her old relationship any more than Jia could remake Still Life in the present day. 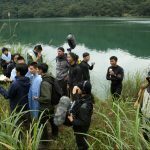 That Jia channels his mournful, mesmerising vision into what just might be his outright prettiest film to date is almost beside the point, though it’s encouraging to see that the director’s transition to a new, more populist aesthetic hasn’t come at the expense of the emotional core of his output. Whether his work looks like a classic melodrama or could be mistaken for a no-budget documentary, Jia continues to chronicle the recent trajectory of the People’s Republic in a manner that feels both vivid and otherworldly. Ash Is Purest White screened as part of International Film Festival Rotterdam 2019. 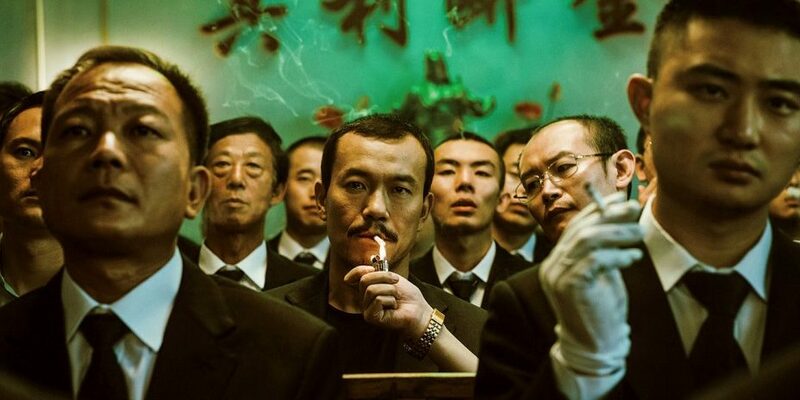 This entry was posted in ASIA, Reviews and tagged Ash Is Purest White, Chinese films, International Film Festival Rotterdam 2019, Jia Zhangke, Jiang hu er nv. Bookmark the permalink.